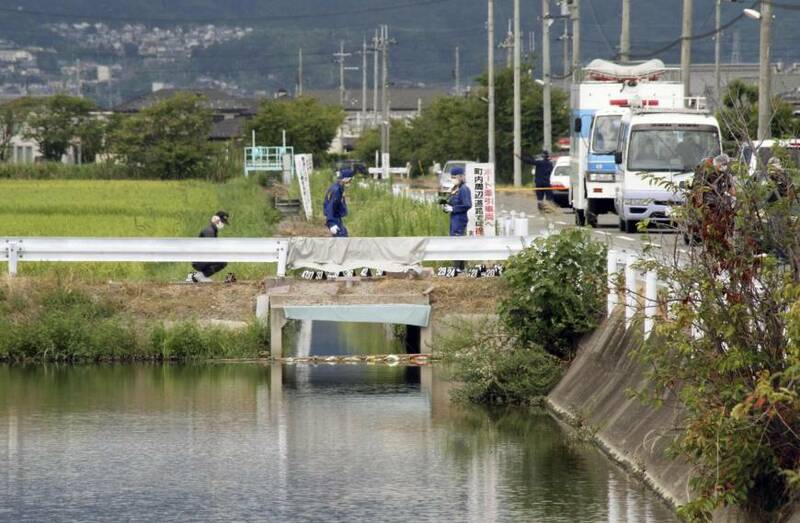 OTSU - A body without a head or limbs was found in the drainage ditch of a farm in Kusatsu, Shiga Prefecture on Saturday, local police said. The torso appears to belong to an adult who died anywhere from a few days to several weeks ago, the police said. “This is an area that rarely sees any dangerous incidents,” a nearby resident in her 60s said. The mutilated body was discovered by a jogger in his 40s on Saturday around 8:30 a.m. in a ditch in a rural area about 5 km from Kusatsu Station, they said. No clothes or belongings were found nearby. The ditch is 8 meters wide and 1 meter deep. 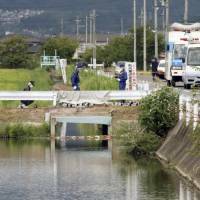 The body was found floating around a wooden board that was set up to catch garbage in the water.